How visualising would sort of look, at least in essence! Visualisation is a psychological aid, a way of approaching the game and the art of goalkeeping itself, through the lens of self image, imagining yourself making particular saves or decisions made. Thinking outside of yourself (as you visualise the shooting space the opposing attacker has when facing you) so you can see what the shooter’s options are. Or from an internal perspective, wherein you can effectively see yourself making saves, which in turn will help out making the actual saves when you are called upon to do so. It’s basically way of seeing yourself make a save, a way of imagining you pulling off some cracking stops or saves that you struggle with, technically, and working through the save process in thinking, so that you can pull off specific saves during an actual game. A skill that allows you to work with your muscle memory to pull off the save as the shot comes and the memory recall causes the save to happen, during the game. Essentially it’s pre-thinking, or thinking about saves in order to make them when it counts. 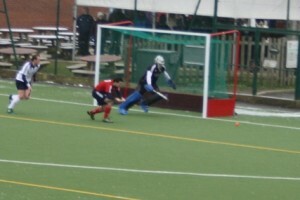 You visualise yourself making a save by diving out in extension say. The visualisation itself is a driving force for helping you do that in reality when you go to make the dive, the visualisation helping you through enacting the proper technique. As well as providing you with reinforcing your confidence and self belief in trusting in your technique, it also helps for playing games where you have little to do and can lose focus or be forced into making an unexpected save that could have a huge impact on the game and score line. Visualisation is pretty simple if you think about it: it’s just a case of ‘seeing’ yourself making saves. Imagining a diving save, for example. When visualising, you are going through the technique and action of the specific save, working through it in your mind’s eye, and imagining pull off wonder saves, so that you correspondingly play well in the match. You can work on visualising set saves made. 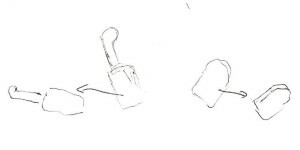 So high or low diving stops at short corners, making glove stops with whichever hand to the appropriate saving side. You can also work in rebound control; visualising where you would put the ball, to a safe place where a second scoring chance is difficult or could lead to a scoring chance if not properly dealt with. And so on. 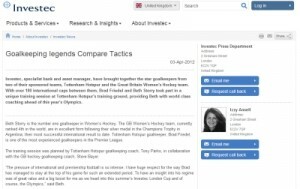 Apparently, there are two main forms of visualisation that goalkeepers (http://voices.yahoo.com/visualization-techniques-ncaa-college-soccer-goalkeepers-2992419.html) can and should make use of. In first person visualisation, you are imagining pushing out to make the save as the ball comes at you, so seeing an imaginary shot coming at you for you to save. In third person, you can see yourself from an outside perspective, seeing you diving out say for a strong save. See yourself from the shooter’s point of view: are you giving away too much shooting space? Are you off-angle or poorly positioned? How much room do they have to shoot into or at? What looks like the easiest scoring chance for them? Essentially, visualise to the extent that you can improve your game. To the level where seeing yourself make saves in fact makes those saves happen. The list sort of emphasises the types of options but you can work off this to think things through that you have difficulty with. Visualisation is a really useful technique for self believe and actual shot stopping. It’s cost effective (it doesn’t cost you anything to work on it by yourself!) and for its seemingly basic level of technique, it is incredibly useful for what it does, as you will see when you give it a go. It is a very productive psychological technique as you look to be an unstoppable goalkeeping force. The benefits and uses of visualisation are twofold. Imagining making a certain save will help you make it in an actual game, whilst also aiding your confidence, giving you a boost in the way you see yourself in terms of ability, so that you can make those important saves. When you do visualise, be confident, so seeing yourself making those saves rather than any negative thinking creeping in! Visualising in your mind’s eye how you are going to make saves should impact you actually making them! 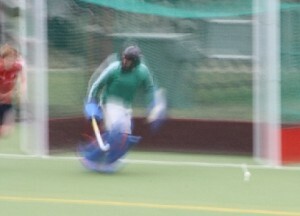 Visualisation is useful for the actual process of shot stopping. According to studies and research, it helps your muscles and brain work in unison. The sport science of it being that the neurones in your brain fire of as you simply imagine the save being made, meaning that your brain is more “switched on” and the neurones will fire quickly as you make the connection between thought of save and save itself, whilst also helping you make the specific save as your muscle memory kicks in and you can call upon the memorised technique to make the appropriate save. 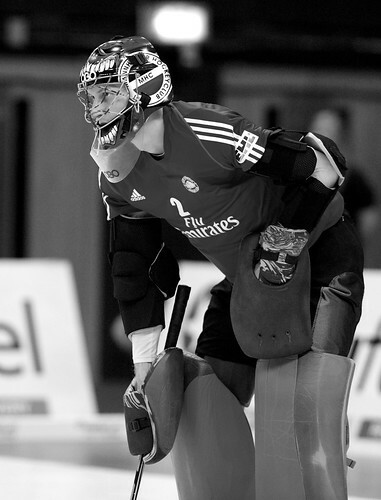 Think about what it is like to make a reflex save. There are times when this will happen, but visualisation can be more useful if it is so possible. Trying to do so in a game is tougher, as you can’t rely on anticipation all the time (if the shooter is good at dummying their intentions, especially in the elite tiers of hockey), so obviously it’s a case of balancing things. But if your head (and thoughts!) are in the right place as the saying goes, then you should be in a better (metaphorical!) position to make every save for every shot that comes at you. During a game, this is very useful. If you have not had a save to make for quite some time, then it helps with concentration and “awakening” for the save as it happens, perhaps late on in the game, where you have not had the chance to build in to a game with more saves as assistance. It allows you to imagine the next save, so that when you are called into action, you are mentally ready and prepared for the save. This will aid concentration as you focus on the game (or at least what is happening in front of you!) and be ready for a save to be made, versus losing interest in the game and zoning out to the point of being use when you are eventually called upon. You can visualise on the build up to a game, so the night or so before you could see yourself making particular saves. Then just before the game in the journey there and during the warm-up. It is also very useful to visualise making saves during the game. If you have time to, when the play is outside your half, you can do this to keep concentrating and keep ready for making saves. Obviously you need to be reading the game and commanding your defence when the ball is out of your area, but you can also visualise, if you can multi task (who said goalkeepers aren’t special?!)! Ultimately, it’s a good idea to look at visualising as a psychological and developmental technique to help you through games and improve your shot stopping and confidence and concentration levels. Believing that, you should be able to make any save possible is going to have a positive impact on the way you play. A means to see and then make, an exact save. It’s something you can add into your game and training as well, as you can do this in training sessions when practising corners or facing shots. 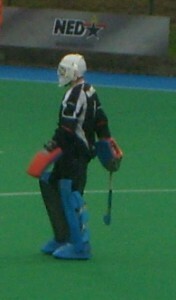 This way, when you go to make a save, you will be more prepared for save making, especially certain types of save as you have mentally ‘practised’ it, and are more confident in yourself as the repetition of visualisation sees you making astonishing saves and stopping anything that comes your way, pumping you up for the big game, say! And for me (and my perception! ), they potentially are a very (too harsh?) 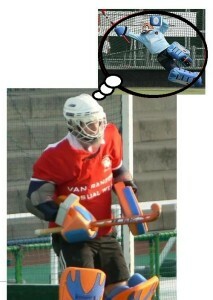 over looked part of hockey goalkeeping, if you think about it. In the sense that they are not a part of training programme and goalkeepers generally may not be aware of them. So, in the case of reverting this and bringing them into educational and practical use, it would be good to see more , although I guess it’s a little harder (maybe, no excuses!) 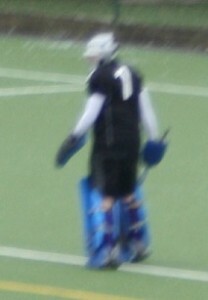 to jump up and down in full hockey kit, in comparison to football goalkeepers not being as hindered. I guess football has a more grounded coaching system (to some degree), but jumping is perhaps of more importance for catching crosses, which are important parts of the game for explosive based save making and athleticism, but still, it is something that can be used and adapted when we look at upgrading and developing our own game. The whole idea of plyometrics is to improve your explosiveness and power for those leaping motions. As well as the height or distance you can achieve (say if using the jumps to help with pushes and pushing out explosively for a full stretch, extension diving save)! It’s not really a repetitive drill in regards to learning things via muscle memory for a specific movement or saving motion, but a move that’s looking to push your ability to ‘explode’ in a movement upwards from your stance with good effort. It’s more about a continued effort to get higher each time and with greater speed. And then there is the added psychological factor of intensity within your game, wherein you push yourself to play and attack the ball with more desire and explosive power; with this approach to “explosivity” (it’s not a word apparently, so I’ll just instigate the Dickensian neologism clause i.e. make up new words! ), helping translate into an agile and athletic performance in games as you leap for ball you might not otherwise reach. When you jump up, you’re trying to push yourself to get higher, faster; to get , so that you can replicate this in a game where you may have to make an outstanding extension save, reaching out, before getting back up for another spectacular stop! Whilst I do have a rough understanding of plyometrics, this article isn’t really focused on specifics and guidelines (couldn’t you tell!)! More of an intro into this form of training; you can find a lot more about them via online searches for “goalkeeper ploymetrics” and such, or in goalkeeping books written for football. But regardless, it’s important to have an awareness about them, especially now that it’s the off-season in Europe and a great time to start doing fitness and off-pitch training in advance of pre-season. There are some exercises, which you can do by yourself and won’t need a coach or equipment to work on. This also means you obviously don’t need any extra kit or equipment to do so (although you can find somewhere with steps or something I guess, to make use of that to jump on/to!). In terms of working by yourself, there are some basic drills you can do in your own time. You can do static jumps to see how high up you can get and push yourself to get higher each time, or do so more quickly. Skipping is also said to be useful, with the jumping itself on the scale of plyometric exercise. Or if you have cones (easy to buy, you can even get them in Tesco’s these days, as far as I remember! 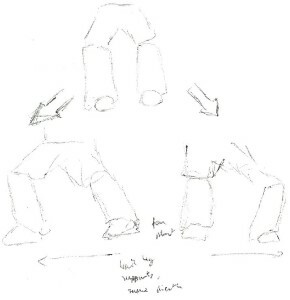 ), then you can do things like the following to feel “light on your feet” and comfortable hopping around (i.e. 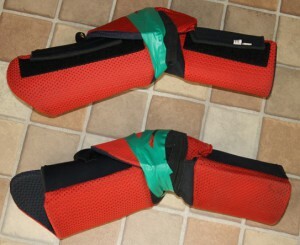 for explosive drive off lead foot for a high/low dive). Age is going to be a factor according to the intensity; so the older you are (especially if you’re at a high level and about 20/in your 20’s), the more you can do for set reps, and a teenager should be doing a bit, yet not overdoing it! It’s just a case of being sensible but the workload of a mature goalkeeper isn’t the same as a young nine year old, obviously! In football they incorporate plyometrics into a drill that involves shot stopping, so they can work on footwork and plyometrics as a routine (to incorporate them into how they play as a goalkeeper), before making the expected save. 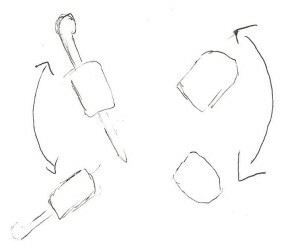 When you do the exercises, it’s important to keep to the fundamentals and not go too fast to the point you’re not taking it on or getting the technique right and falling off balance and so on. Start small and build up, working your way up with intensity level and level of advanced technique, as you develop your explosive power and jumping abilities. Standard jumping can be done anywhere so there’s no excuse! Jumping straight up and having your hands at your sides to balance and as a guidance as to how high you want to bring your knees and foot up is a good place to start. Box or obstacles and hurdles/posts to jump over, can then be utilised for more advanced technique. Working on plyometrics should help you become a more explosive and agile goalkeeper in your shot stopping and athleticism and agility as you play with intensity, rather than a passive approach. And there is an argument for the need for this kind of development to help you play to a suitably intense and competitive level in goal. Leaving your feet to make a high ‘diving’ save or jumping to stop drag flicks at a short corner, you need that level of explosive power and athleticism to get to the ball. In open play, diving’ high, or getting off the ground to challenge an aerial pass into the D (as is becoming more popular at the higher levels), you need to be able to get high up to cover. These are two key examples of where plyometrics would help you and your goalkeeping. Add them to your training schedule! Ultimately, it is a good idea to consider plyometric training and adding it to your schedule; you can only gain from it! You should also find that you are getting more explosive after such exercises, being more athletic with diving across or low because of the power you can achieve when you jump up or out, this explosive nature translating to your game as you compete more intensely and athletically. And you may want to be pushing yourself to get as high as possible, so you can end up being able to jump like this! I will try and write (potentially doing a separate guide for off-pitch training and exercises, as I’ve started work on guides for different areas of goalkeeping and set plays and the ‘mental game’, which will eventually be available as downloads in PDF form) more in-depth guidance on variations and more technical and advanced drills, at some point, but for now, I hope this has been of some use!